Oh Samsung, they never learn do they? Both Apple and Samsung have been suing each other for copyright infringements, but this only shows how far Samsung shamelessly copies Apple's products, marketing strategies and even user interfaces from iOS apps. 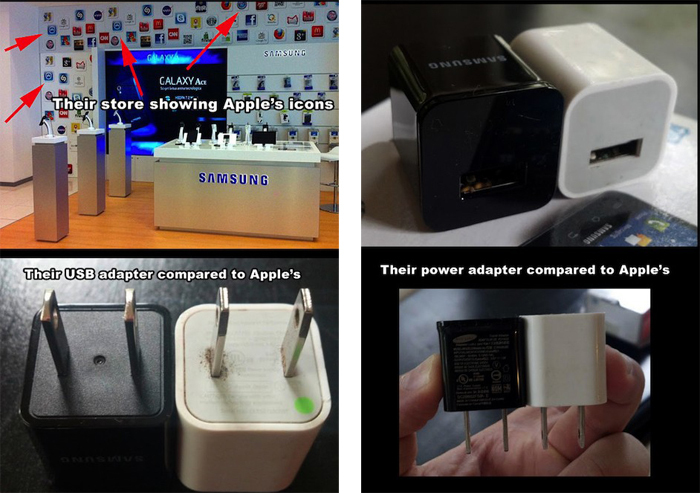 A Reddit user decided to make a infographic of sorts showing in exact detail some of Samsung's copycatness. Catch the full infographic list right after the break! It's long. Insert that's what she said joke here.